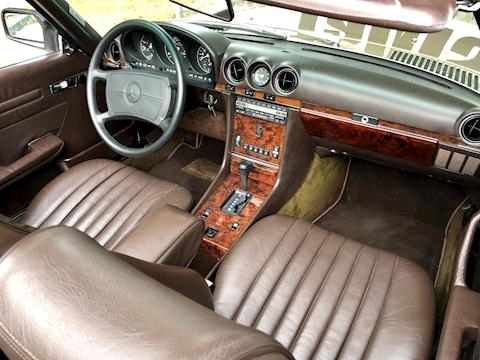 Champagne with Brazil Brown Leather. 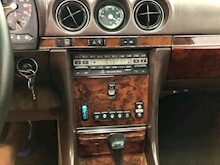 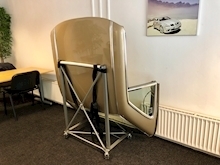 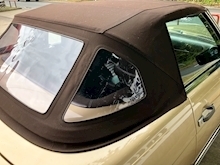 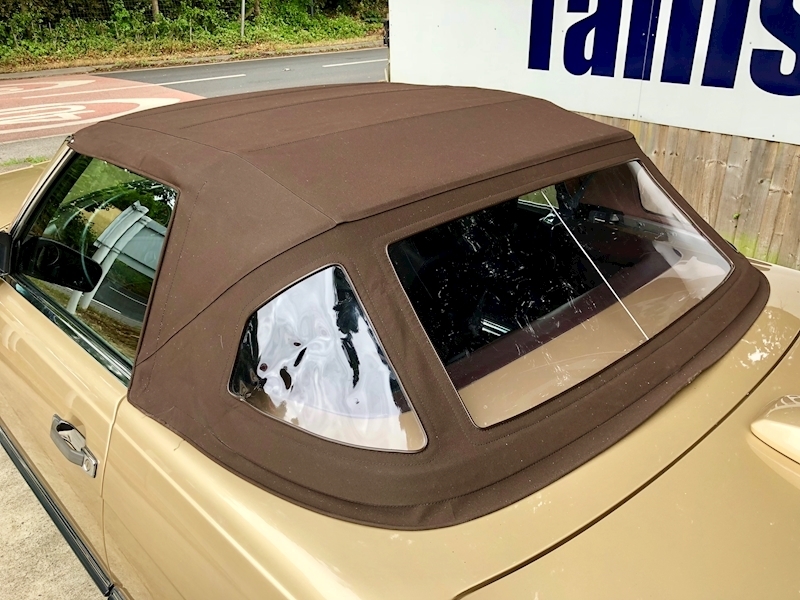 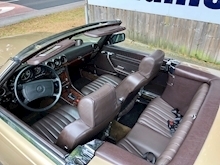 Matching Original Hard Top, Climate Control, Cruise Control etc. 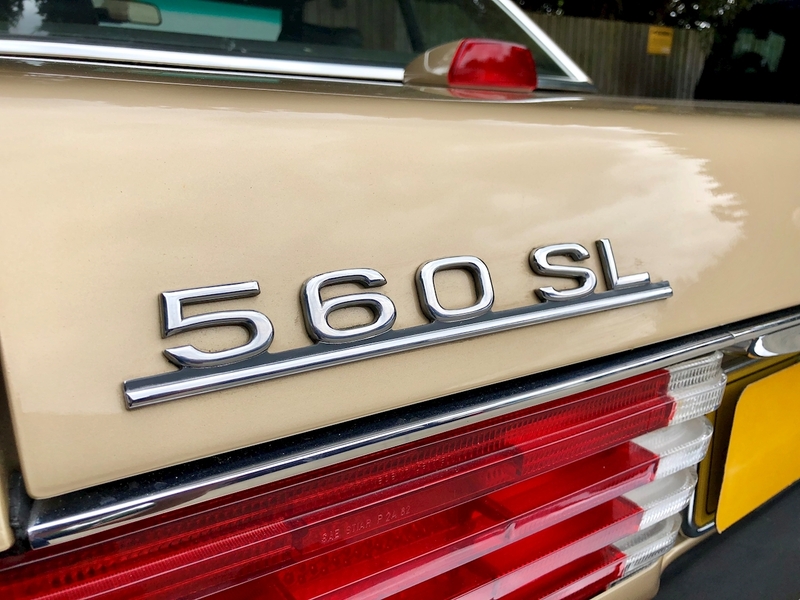 This Left Hand Drive 560SL was imported from Florida in early 2015 from it's original and only American owner. 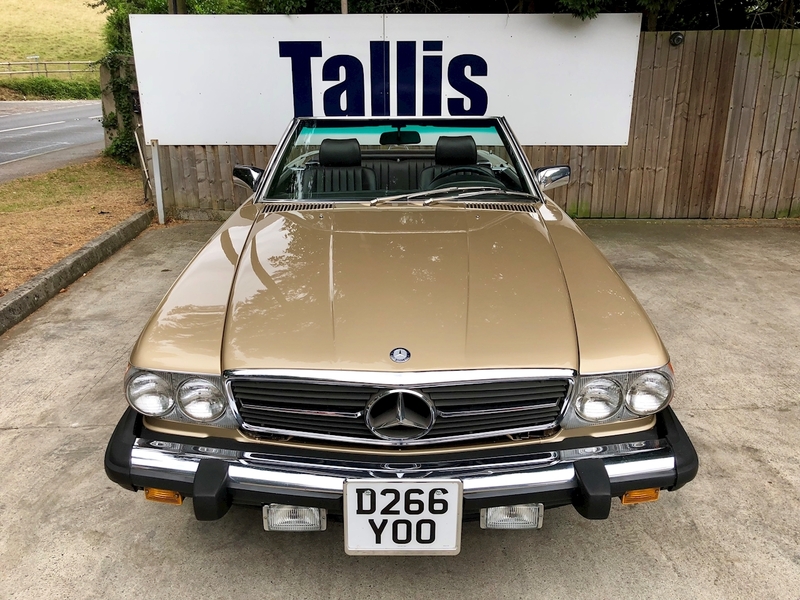 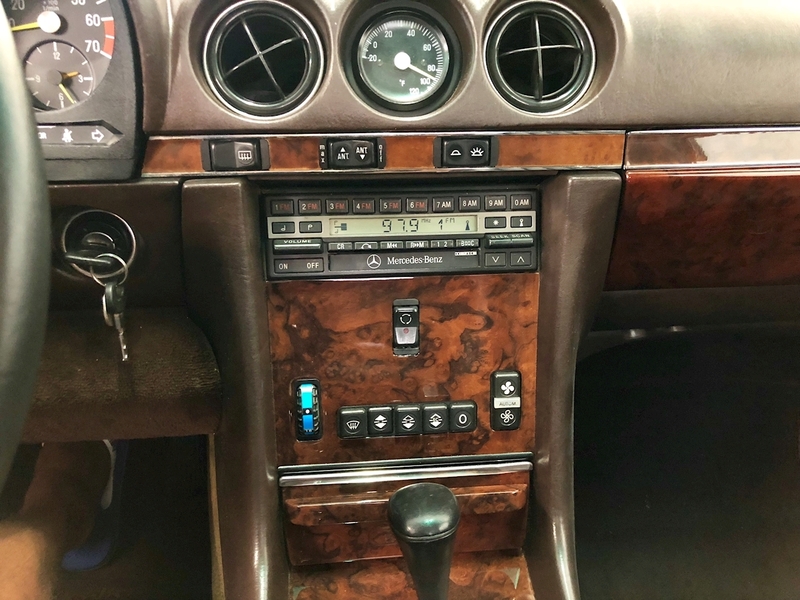 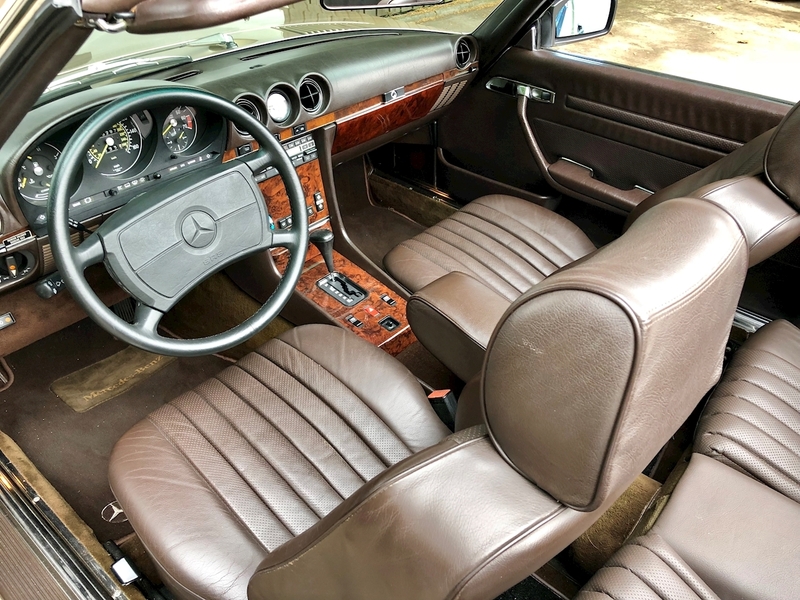 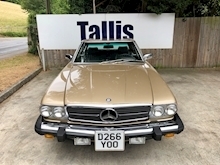 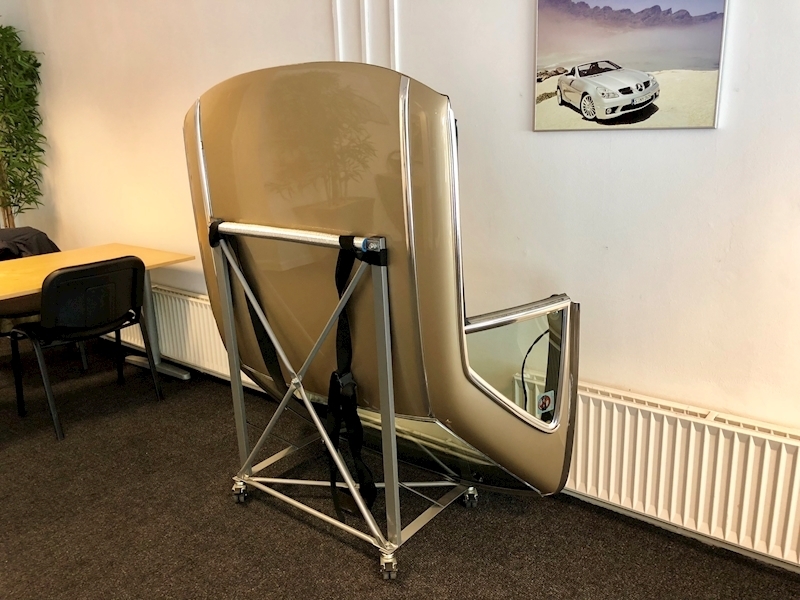 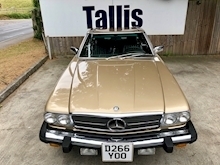 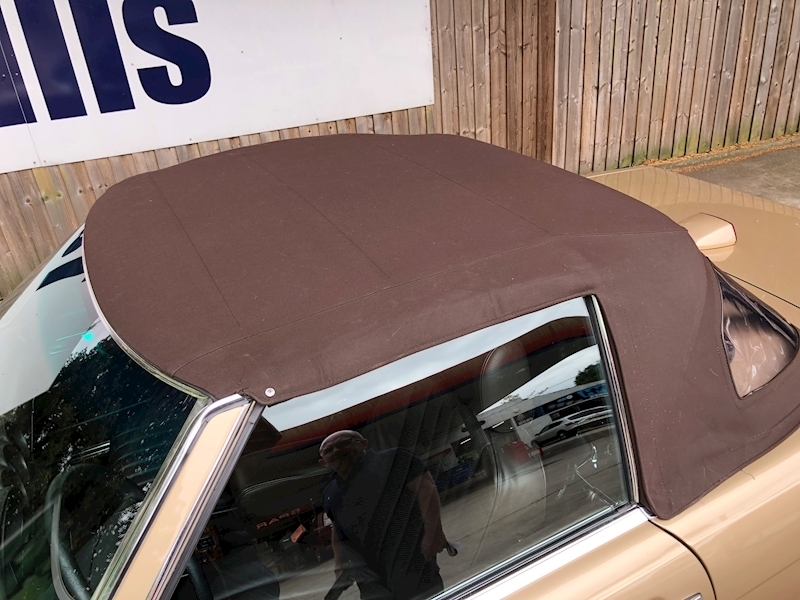 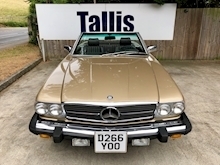 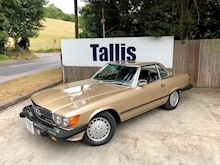 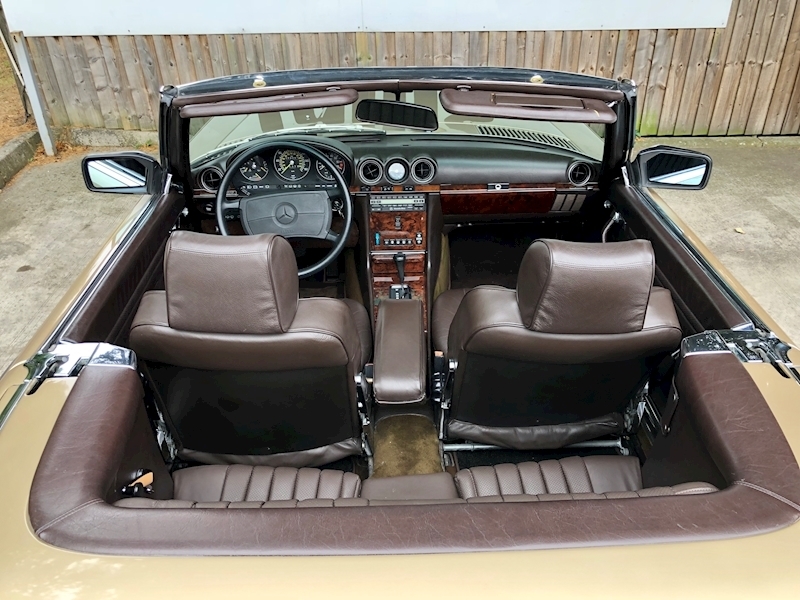 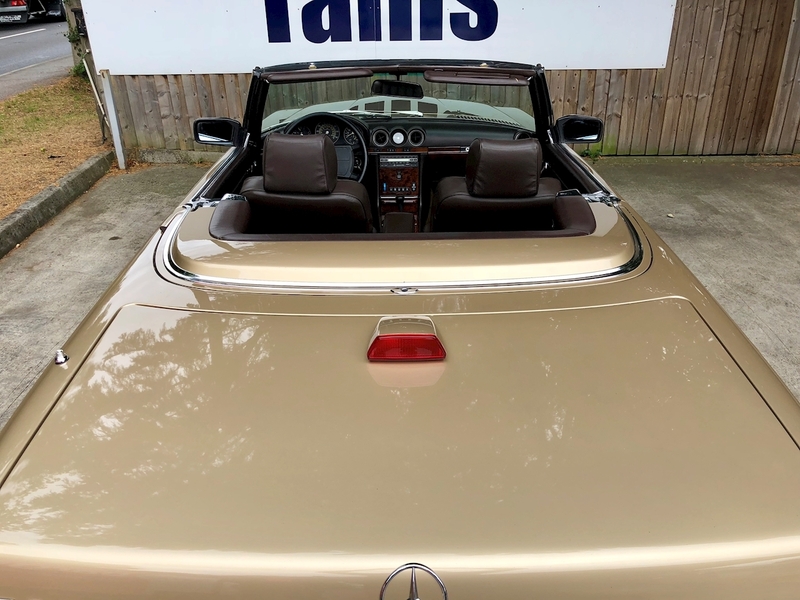 It has subsequently had two UK owners, the last being a long standing customer of ours who had the car completely restored by the SL Shop in 2016 when it had covered 68,682 miles. This cost him just under £20,000 and copies of this work are available on request. 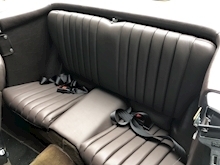 We also have a stamped service book and invoices for work carried out in Florida. 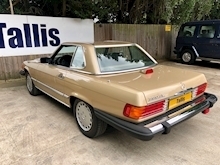 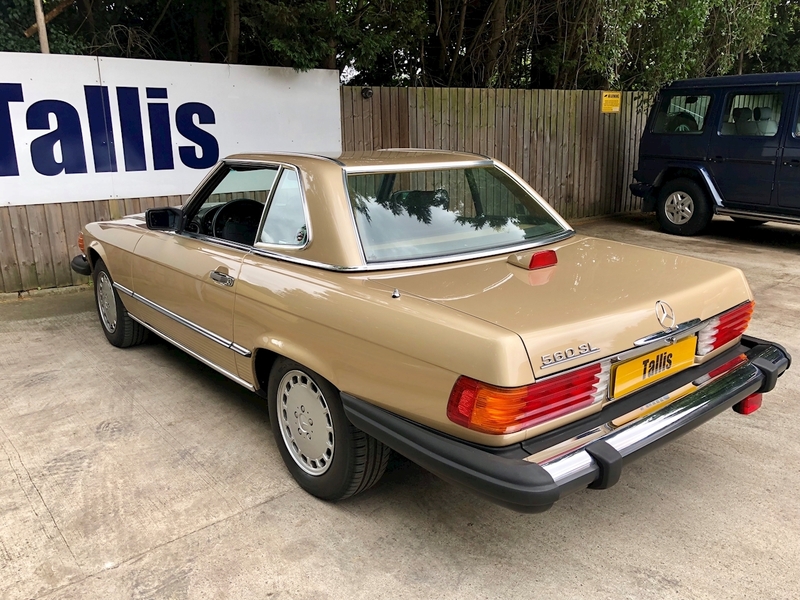 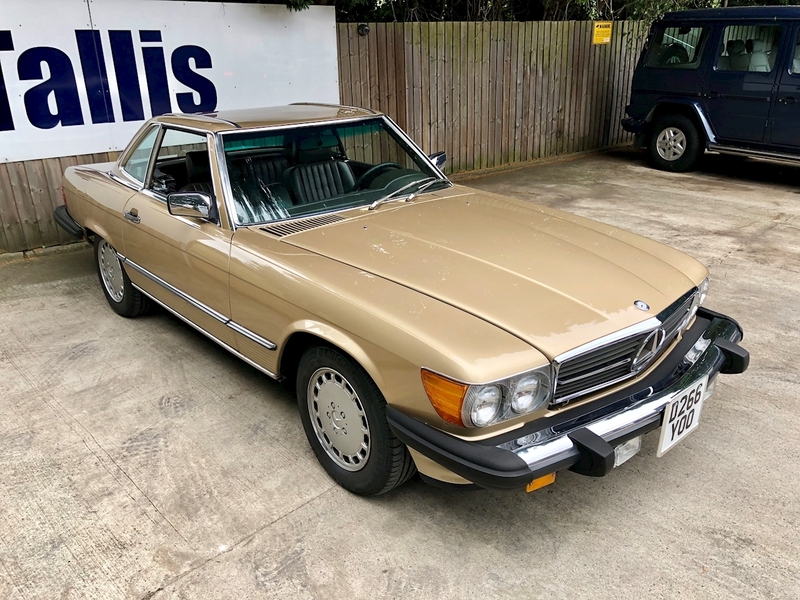 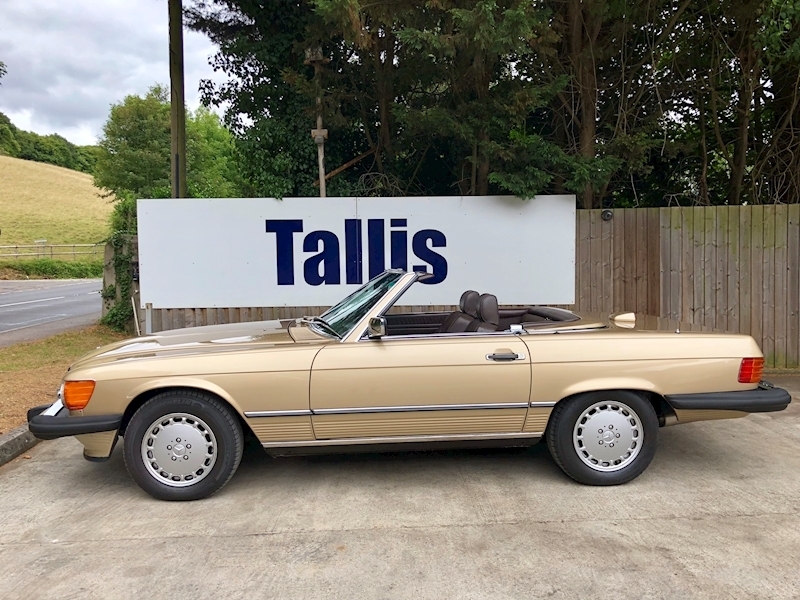 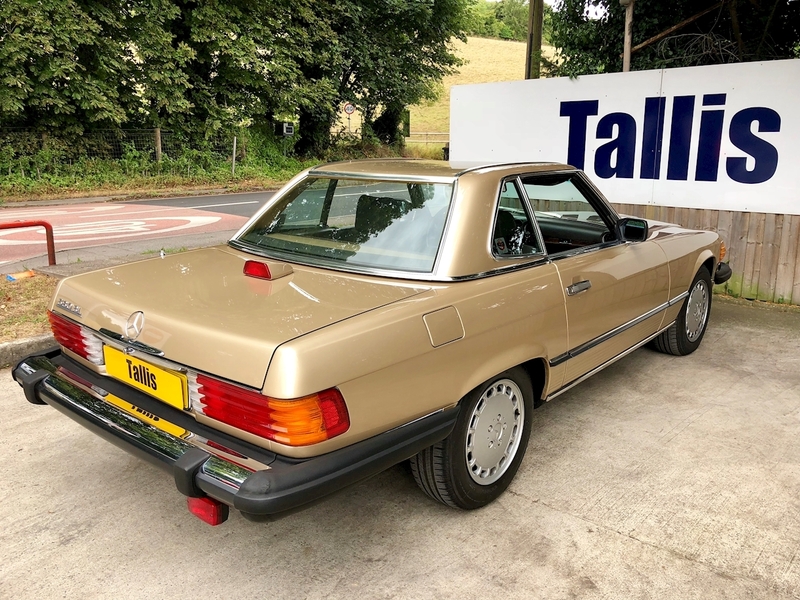 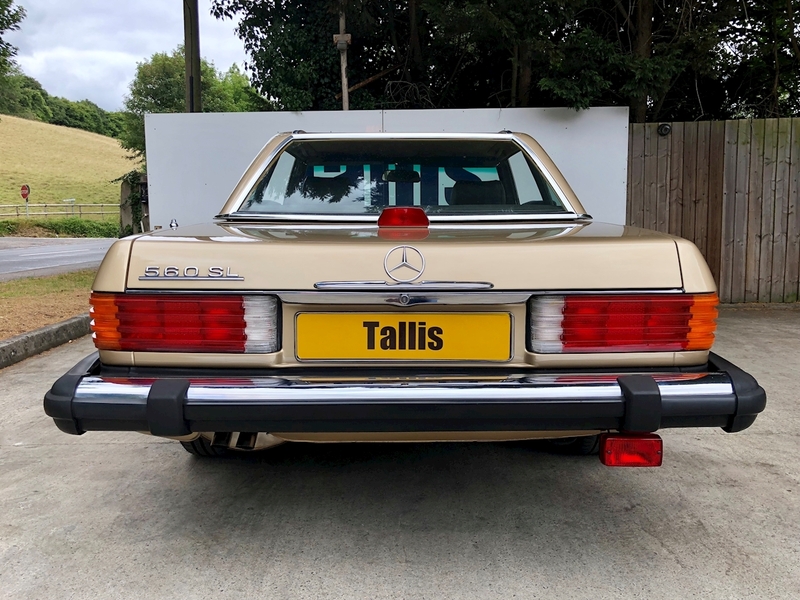 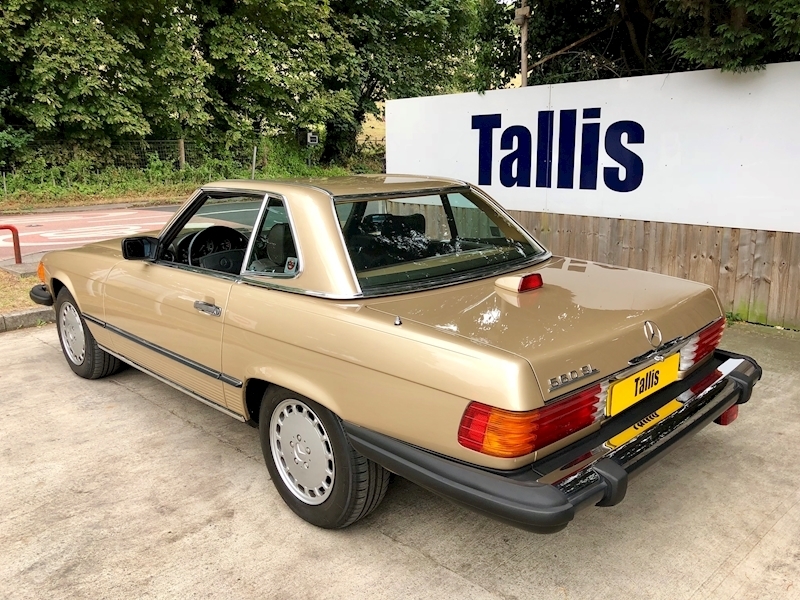 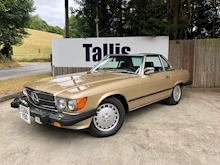 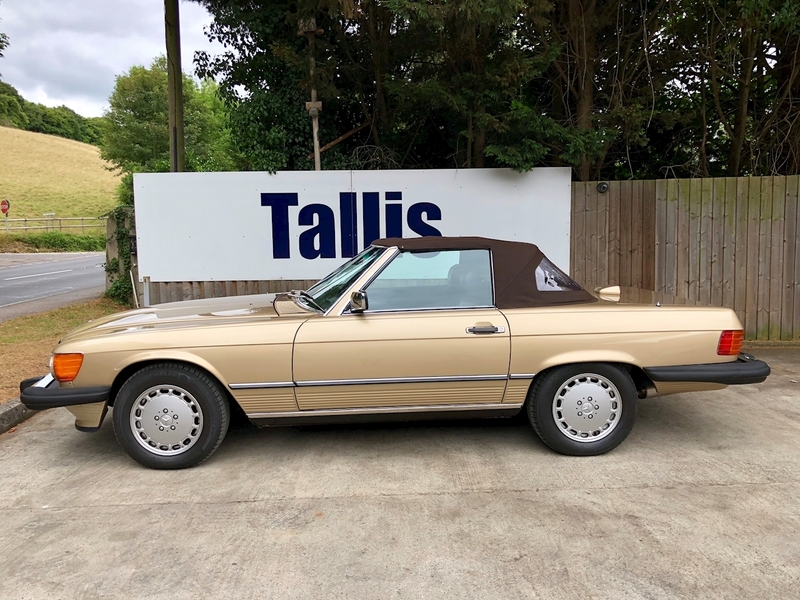 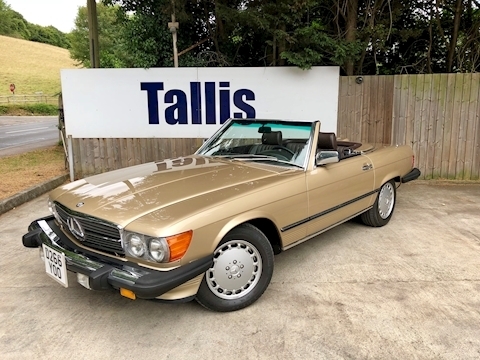 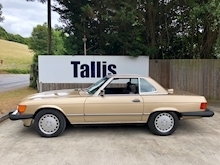 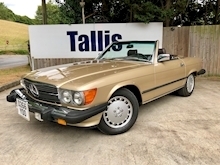 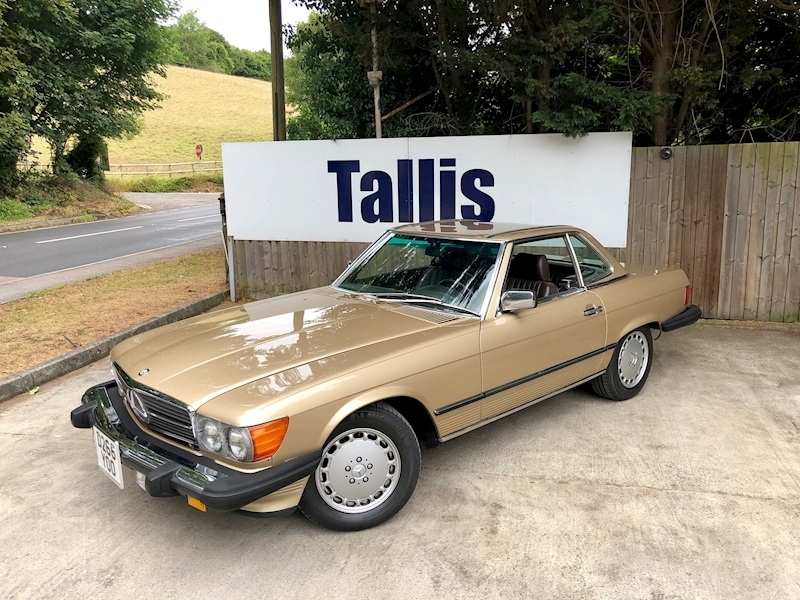 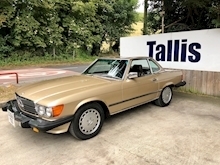 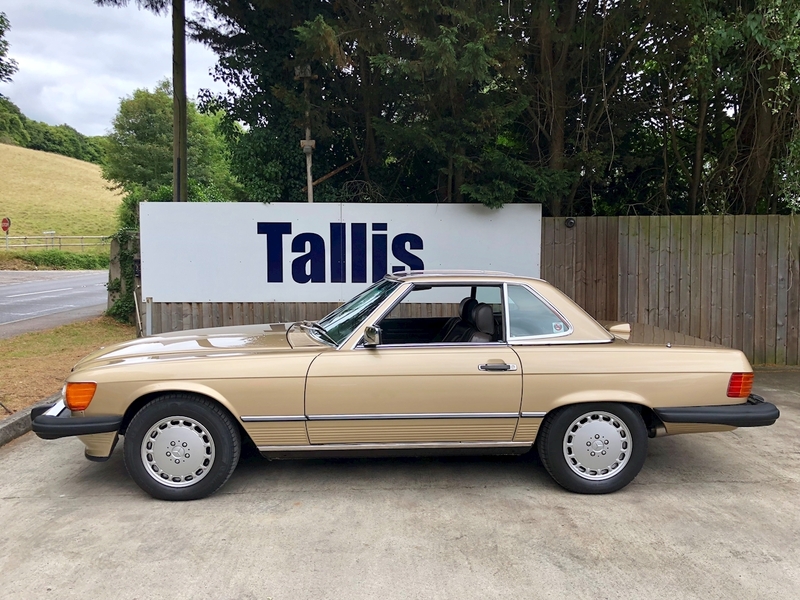 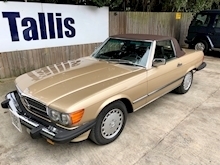 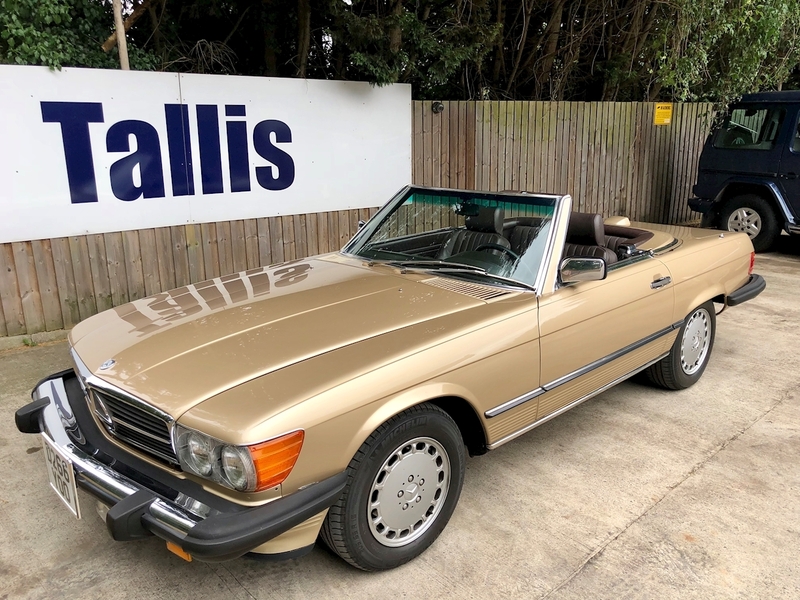 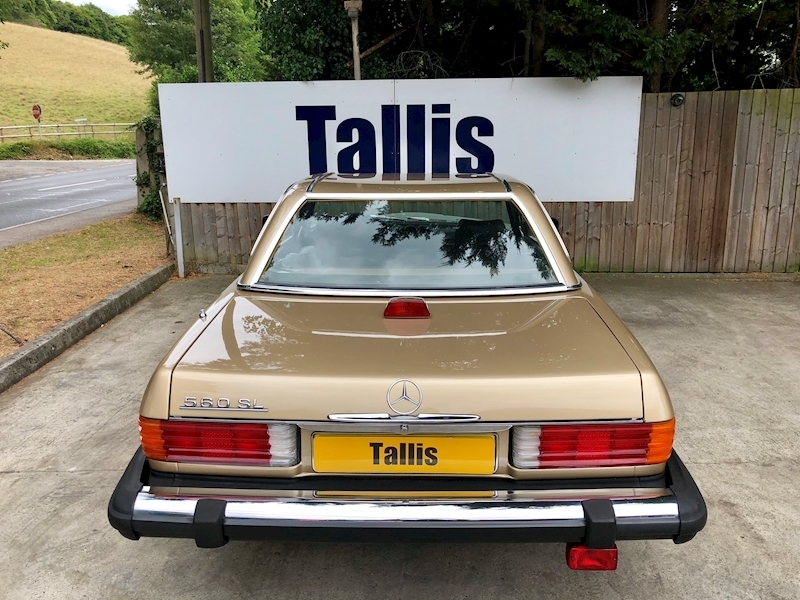 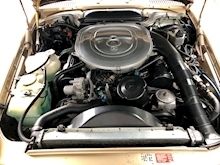 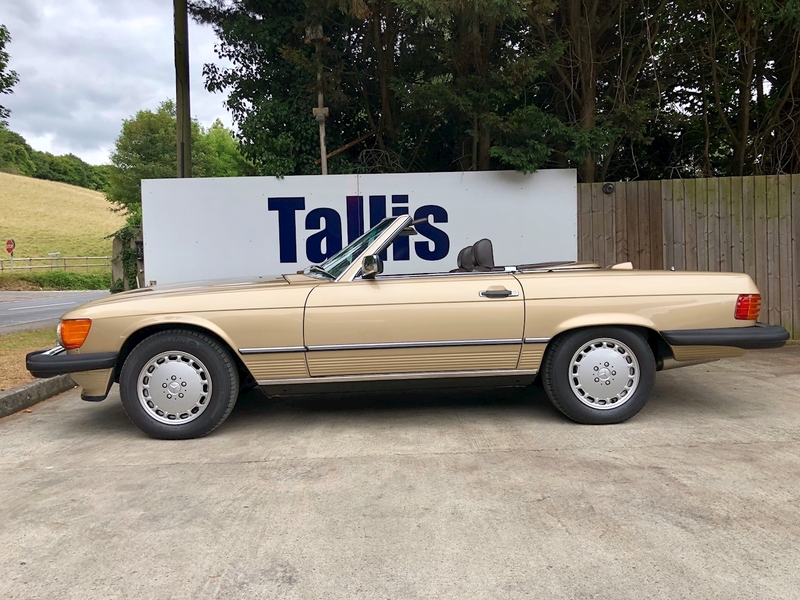 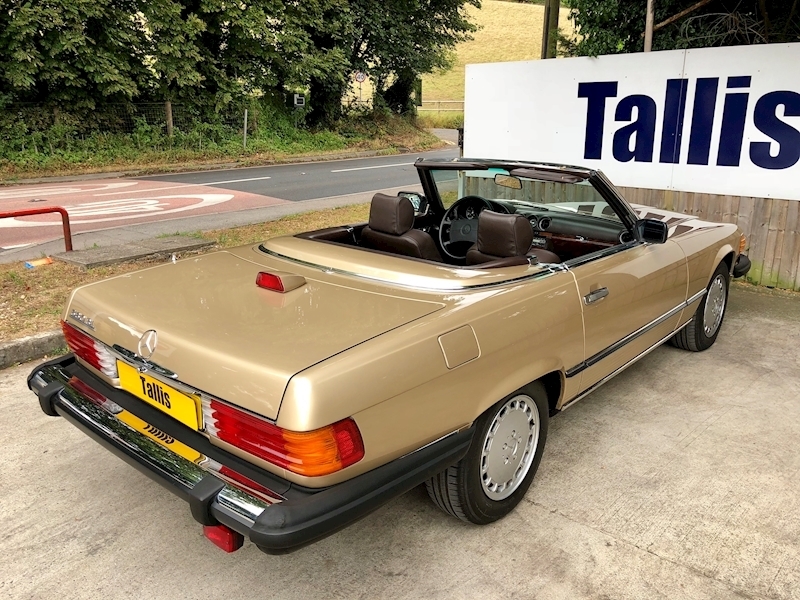 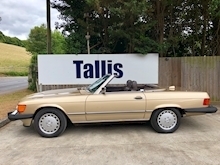 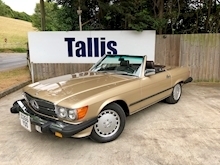 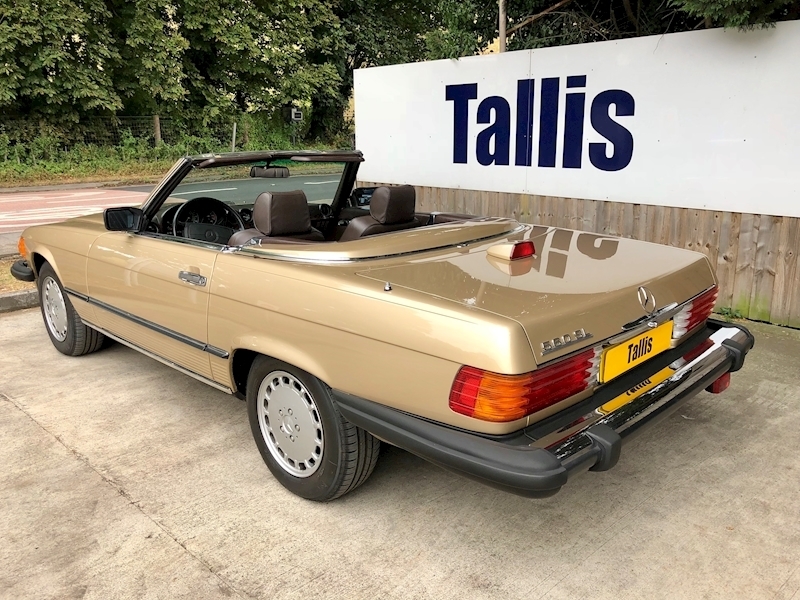 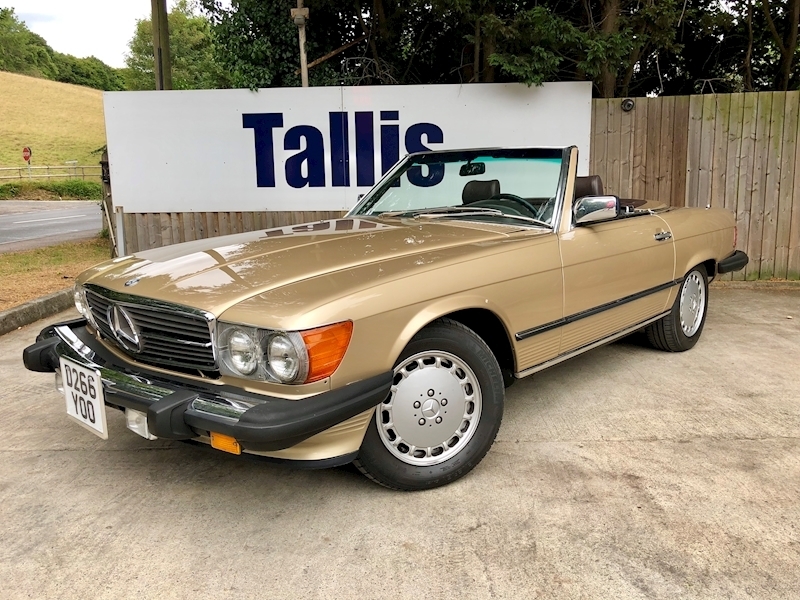 Built in late1986 and first registered in America in early 1987, this 5.6L V8 560SL is in excellent condition, both mechanically and cosmetically and benefits from a very low mileage, a Mercedes service book, service invoices and original handbook. 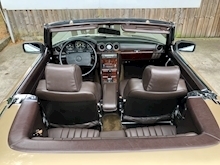 Photographs and a video of the underside are available on request.